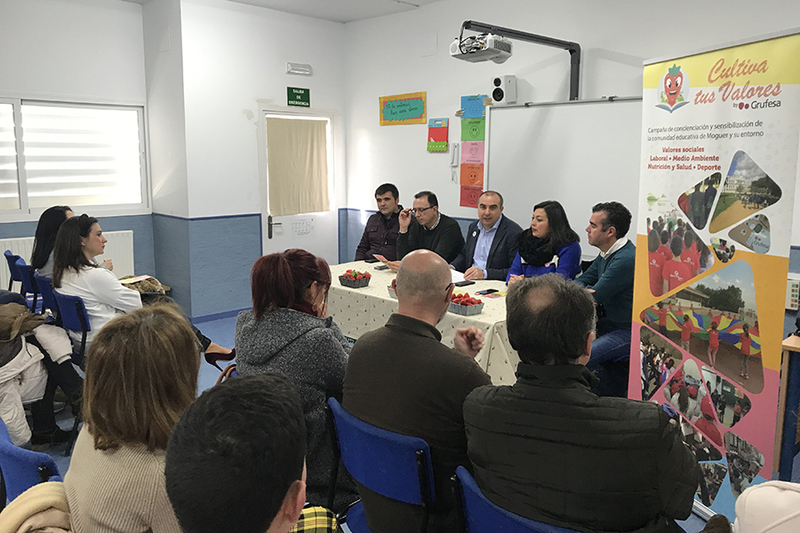 1,500 primary school students from Moguer and Mazagón will once again participate in the “Grow your values” campaign. This is the third consecutive year that Grufesa is running this course in state schools and will include some new material to make the students and their families more aware of the socio-economic reality of the strawberry sector. This will be achieved by education and training on the values associated with the sector which reassesses their signs of identity and contributes to the personal development and social progress of future generations. 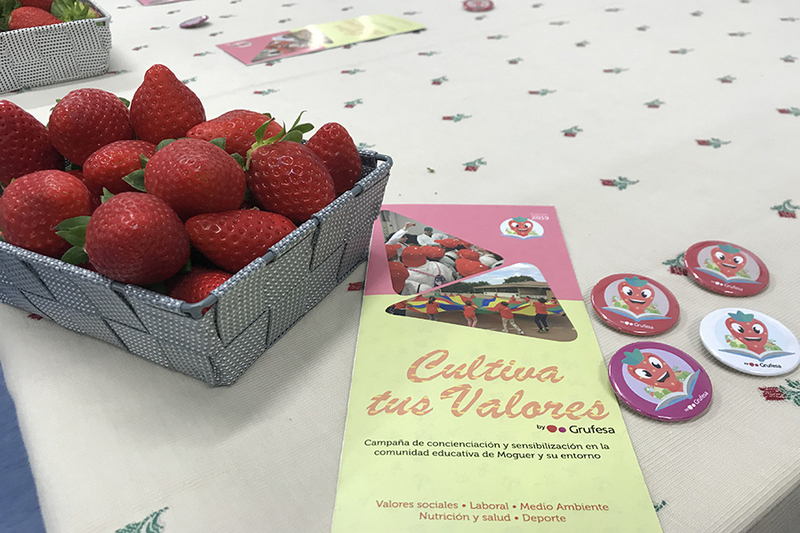 “This third edition supports the initial desire for a long-running campaign so that our children can know, feel and learn to value the culture of sacrifice and effort that goes into growing strawberries, and help to tackle non-attendance and non-completion of schooling,” says Carlos Cumbreras. Carlos has let us in on “some new material to make it even more appealing,” such as the participation of five renowned chefs from the province in the ‘Emotions by Grufesa’ campaign designed to create culinary experiences with local ingredients and berries. The campaign has reached 1,500 children in 62 primary school classes at the Zenobia Camprubí, Virgen de Montemayor, Pedro Alonso Niño and El Faro schools. ‘Grow your values’ is organised into five broad areas (social values, work, nutrition and health, sustainability and the environment, and sport) that feed into a range of educational units and activities in the natural environment. The Moguer-based company has been pioneering in promoting and developing this ambitious project in the sector to heighten students’ awareness with an educational project regarding values which contributes to personal development and the social progress of future generations. To recognise their involvement, Grufesa staff presented original framed illustrations representing the spirit of the project to the associations De Orugas a Mariposas, Abriendo Puertas, Puerta Abierta, Afame and Ánsares, the participating schools and their Parents’ Associations, as well as Moguer Council, La Caixa social welfare project and Platalea,who are partners of the project.